(1865-1937) Miss E. Lillian Todd was a stenographer who was fascinated with aviation having lived during the era when the human race was beginning to learn how to take flight. While none of her self-designed planes are known to have flown, she did exhibit one aircraft at the meeting of the Aeronautical Club of America in December of 1906. The aircraft was technically a glider since it did not contain an engine. 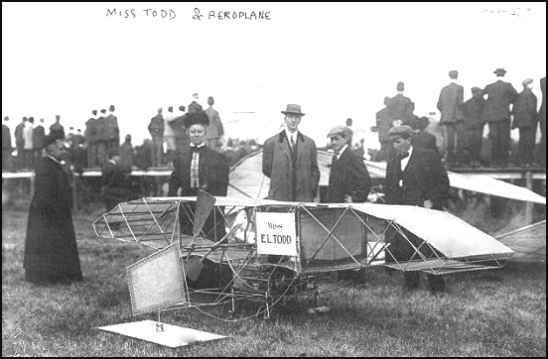 Miss Todd had no training in the use of tools or mechanics, yet she built the plane by herself. Her designs eventually received attention from Andrew Carnegie and Harry Guggenheim. 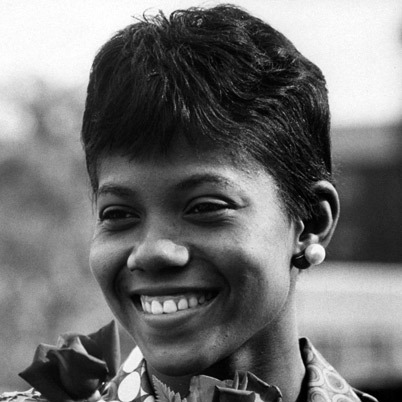 (1940-1994) Wilma Rudolph was an Olympic track athlete who became the first American woman to win three gold medals in track and field. Ms. Rudolph was born prematurely with problems with her left leg, and consequently, she wore a brace. With determination and physical therapy, she overcame her physical disabilities and became an Olympic star. Ms. Rudolph grew up in the South during days of segregation and attended an African-American high school where she played on the basketball team. As a naturally gifted runner, she was later recruited for the track team. While still in high school, Ms. Rudolph qualified for the 1956 Olympic Games in Melbourne, Australia. She became the youngest member of the U.S. team at the age of 16 and proceeded to win the bronze medal in the sprint relay event. Ms. Rudolph succumbed to brain cancer in 1994 at the young age of 54. (1956- ) Eileen Collins is a retired astronaut who was selected for the corps in 1990. 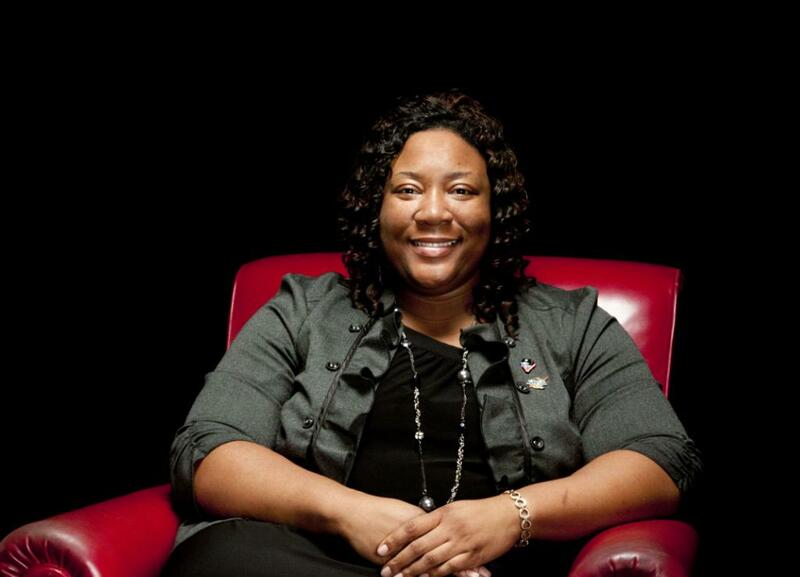 She is also a retired U.S. Air Force Colonel. She was the first female Space Shuttle pilot, flying Discovery for STS-63 in 1995. Then in 1999, she was the first female Space Shuttle commander, taking charge of Columbia. So fittingly, she was also commander for the return to flight after the Columbia tragedy. During this mission, she was the first pilot to ever have to perform a complete 360 degree pitch maneuver of the Space Shuttle. She retired in 2006 to pursue private interests. (1945- ) Dr. Roberta Bondar is a neurologist, distinguished professor, and former astronaut. She became the first female Canadian astronaut to fly into space in 1992 as a payload specialist aboard Discovery. She was selected in the first class of astronauts in <?xml:namespace prefix = st1 ns = "urn:schemas-microsoft-com:office:smarttags" />Canada in 1983. Tomorrow begins a month of celebrating those who came before us and paved the way so that we would have the rights to be who we are. To celebrate who we were. And who we will become. As such, for each day in March, we will post a Women in History Shout Out. So if you have a woman you want honored, leave a comment here, on our Facebook wall, or Tweet @WomenNASA. All you need to do is suggest the honoree’s name and one line about who she is. We will do the in-depth research. Don’t assume your favorite is so obvious that we would just know to pick her. There are so many women to honor and only so many days. Additionally, Women@NASA is hosting Women, Innovation and Aerospace on March 8th to celebrate Women’s History Month. If you are near a NASA center, please attend! All events are free and open to the public but seating is limited so you must register. Learn more here. It’s been an exciting time for us here at Women@NASA. We have a steadily growing followership on Twitter and Facebook, most of whom we are positive don’t already read the blog. This means we are reaching out to more and more people and with social media, our hope is we are also reaching out to young people and inspiring them to impact the world through science and engineering. For the future, you can expect a smartphone application and partnerships with women’s organizations. We won’t leak too many details but we can assure you they will be fun, lively, new, and targeted just for our readers/followers/supporters. 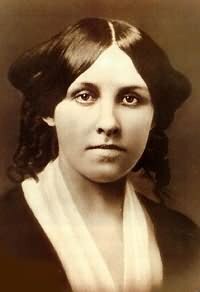 (1832-1888) – Seamstress, servant, teacher, Civil War nurse, and finally, author and novelist. Her novel, Little Women, is considered a classic and is still read in classrooms. I have a really bad cold right now, and it may be because I always get sick on airplanes. But, I didn’t mind getting sick because it was for an awesome trip to Chicago. In Chicago I moderated a panel at the Society for Women Engineers conference. The panel was called NASA Engineers Who ROCK (the panel was organized by NASA Glenn in Cleveland, you see, home of Rock’n Roll Hall of Fame so I think they couldn’t resist referring to rock somehow!). But the panel really did rock. We had four cool NASA women: Olga Dominguez (Assistant Administrator for NASA’s Office of Strategic Infrastructure from NASA Headquarters), Junilla Applin (Assisstant Director of Management Systems Office, Engineering Directorate, NASA Langley Research Center), Julie Schonfeld (Lead Engineer for Science Ground Systems, NASA Ames Research Center), and Karin Bodnar (Electrical Engineer in the Power Systems Development Branch of the NASA Glenn Research Center). It was the last panel on a Friday afternoon, but we had a lot of people there. Junilla talked about a life-changing experience when she was a child and she was forced to sit in the back of the bus because of her skin color. That experience made her mad. Really mad, and it made her want to do things that she weren’t typical, like be an engineer. Olga talked about some of the more subtle forms of bias that sometimes are even more difficult to overcome, like your opinion being dismissed and then a male saying something really similar and that comment being embraced. Those are the kind of things a lot of us face in our field. Julie talked about how being a female was an advantage in some ways. She often was the only female, or one of a handful, in her engineering classes and therefore she was noticed. It made her stand out. Karin is an early career engineer at NASA and it was great to hear the perspective of someone recently graduating from college. She said she feels that people at NASA are really working to mentor her and she truly part of the team. That was so great to hear since we still have way too few employees from younger generations at NASA.